Happy first Monday in June, friends? 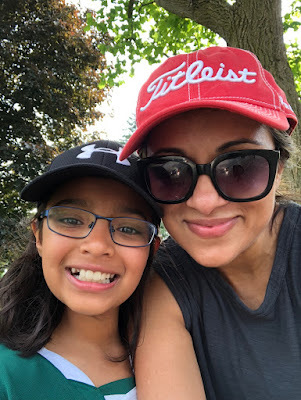 Summer and sun are on the mind for sure and it's only apropos that The Blended Blog's questions are totally focused on my most favourite season of the year! 1- Walk or Bike ride? I have a walking partner these days and I love it. Fried chicken like the south LOL. 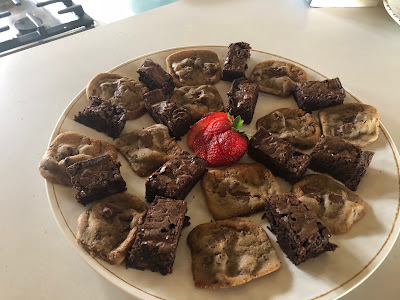 Because I am all about balance, I also like a ton of veggies and fruit at a picnic too ;-)... oh and cookies and brownies! Pool for sure since you can rinse off after. Macadamia Brittle by Haagen Daas--- only to be found VERY rarely and never in North America anymore. This one from last summer was pretty epic though. I love a cone... and now I want a cone... like the one above! Flip flops all the way. I feel like my feet would literally slide with slides! Definitely watermelon. The more chilled, the better. On the cob. This Caribbean corn recipe is one of my favourite ways to prepare it. Hmmmm-- I don't think I have a favourite one. Strawberry for sho'. We go strawberry picking all the time and we've made jam for the last few years! 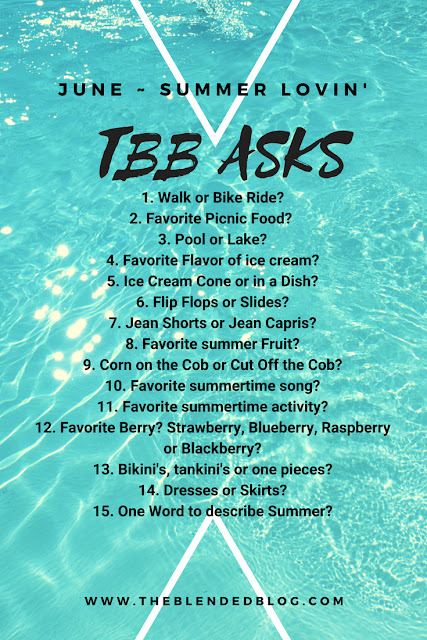 13- Bikini's, tankini's or one pieces? One pieces these days.... sigh! 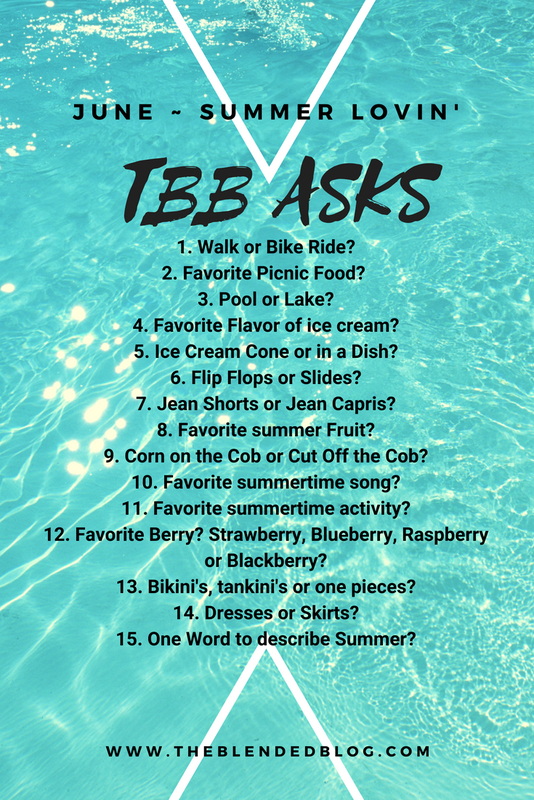 15- One Word to describe Summer? Delicious! Not with just food, but also the good times, memories created, lazy days and so much fun. And waaay too short! This is so fun!! I don’t know what kind of ice cream that is but I want it! So yummy!! What a fun post, sweet friend! Love the pic of you and your adorable walking partner! :) I wanna go on a picnic with you - sounds delicious! Hope you and your precious family soak up every beautiful bit of this summer season! xo! Ok I have never heard of that ice cream flavor before but its sounds so good. I am not a fan of slides either, I feel like all I do is walk out of them. We're hoping to go strawberry picking tomorrow! That strawberry jam looks so delicious! Have a sweet summer day pretty lady! Great word for summer! Delicious. It is, isn't it. Glad you have a walking partner. Wish I did!! But I pack my phone and headphones and listen to books. Family ad friends and fun outdoors is the best this time of year. That cone looks so yummy! I love your descriptive word for summer! I couldn't agree more. 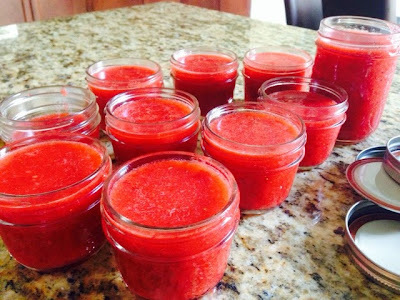 We have been making tons of strawberry jam too - perfect gift for our teachers as the school year ends. Have a great day! Delicious is a fun word for the summer. I'm with you on watermelon (yum) and pools (so relaxing, and not as dirty haha). And that cone looks so cool!! What is this Caribbean corn recipe that you speak of- maybe it is what I'm looking for...I had something once and it was MExican and divine. Not quite Caribbean ,but who knows. I'm salivating over the cookies and brownies like you are the ice cream cone! My favorite thing about summer is the outside time with family and friends. 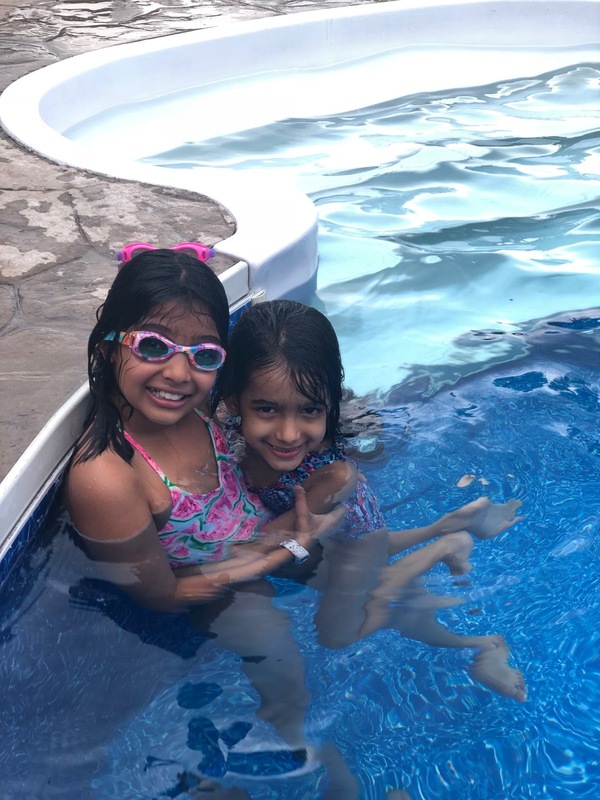 So many great memories are made in the summer! That jam looks delicious...just like summer! Have a wonderful week! 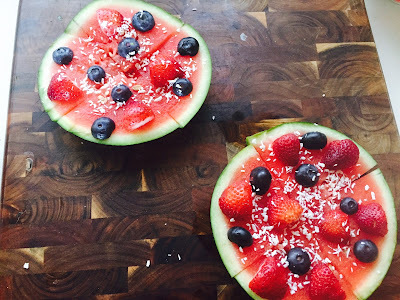 I love the look of your watermelon pizza! And that ice cream cone! Oh my! You have the cutest walking buddy! Fried chicken is a great picnic food! That ice cream looks interesting! Hope you have a great summer.